Active Minds Word Searches have been designed and tested alongside people with dementia and are a great resource to stimulate and engage the mind. Grab a cup of tea and see what you can find. 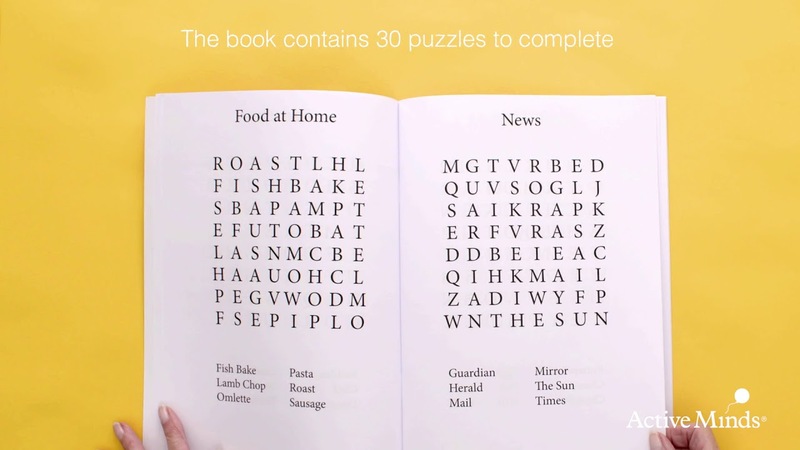 This book contains 60 word searches and is suitable for people with early stage dementia, 30 level 1 and 30 level 2 puzzles.